So, I ran out to the store the other day and purchased a small bag of general wild bird seed. I threw about half on the ground and the other half up on the platforms since all the birds seem to be willing to sit at the platform to eat. Today, we have an actual temp reading of -10 with a windchill of around -30. Kids are all off from school. 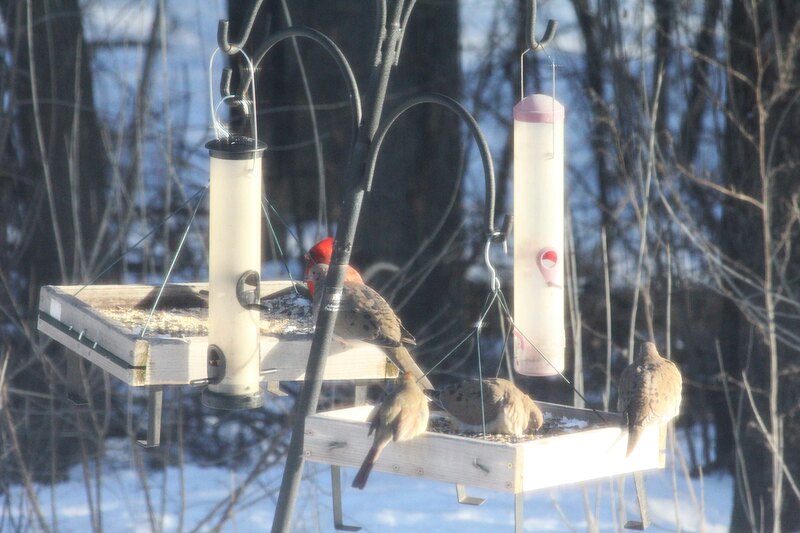 I have been watching the feeders and many of the birds bulked up right before the cold, but they have steadily been at the feeders the last few days, including today. I’ve seen all the familiar faces…red bellies, bluejays, cardinals, chickadees (of course, they were the first to approach), hairies, downies, doves, sparrows, even a few remorseful robins who must have decided against flying south. The pics are from the kitchen window which has a screen. I did my best. Familiar faces gathering ’round. Cardinals, doves. Cardinal. We had many pairs this week…all bring their mates. 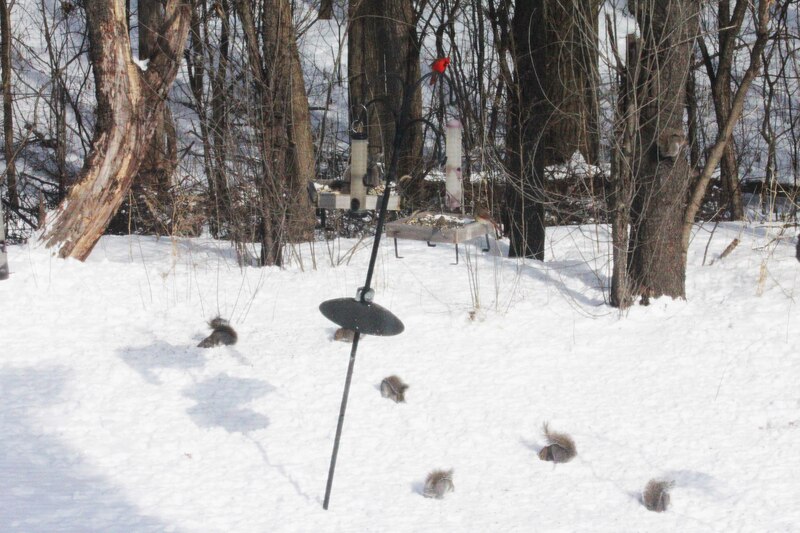 7 squirrels and a pair of cardinals. You knew the squirrels wouldn’t miss out. This entry was posted in Bird feeders, Creativity, landscape, midwest, Nature and tagged bluejay, cardinal, seed, winter birds by edges. Bookmark the permalink.